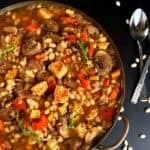 This meatless French vegan Cassoulet is extra delicious with delicious beans, tempeh, herbs, mushrooms and more veggies. It’s budget-friendly and, at 211 calories a serving, it’s also waist-friendly. 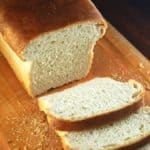 Vegan, gluten-free and nut-free recipe. What about those French, huh? Cheese and wine do not make them fat. They give us French fries and crème brûlée and while the rest of us morph into couch potatoes, they stroll down their classy arondissements with the Eiffel Tower for a backdrop, looking chic and magnifique as can be. 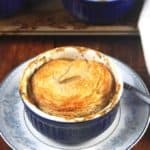 They can even sit down in a restaurant, order the Cassoulet, a dish layered with four or five different kinds of meat, and glide out with not a single ounce of animal fat clinging to their flawless waistlines. Jamais! 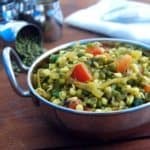 So there I am in Paris with Desi, and it was a few years ago so things could have undergone a sea change, but at the time I am vegetarian leaning to vegan and looking for some of that wonderful French food to come my way. I want to sit at an outdoor table at a bistro with my one true love, the wind from the Seine blowing through my hair, eating something very hip and incredibly tasty — not stuff served to me sans fromage or sans oeufs or sans flavor. Come on, French people, didn’t you give us ratatouille? Mais non. I was out of luck and pretty much out of food in the world’s most gastronomically famed country. And because I still hold a grudge against the French for starving me, I’ve taken their very meaty Cassoulet and turned it completely vegan. Yes, sir, I have. Yeah, yeah, I know. They will look down their élégant noses and say it’s not really Cassoulet. So they won’t stick three Michelin stars on it, but you know what? We loved it and if they eat it, I will guarantee they’ll love it too. 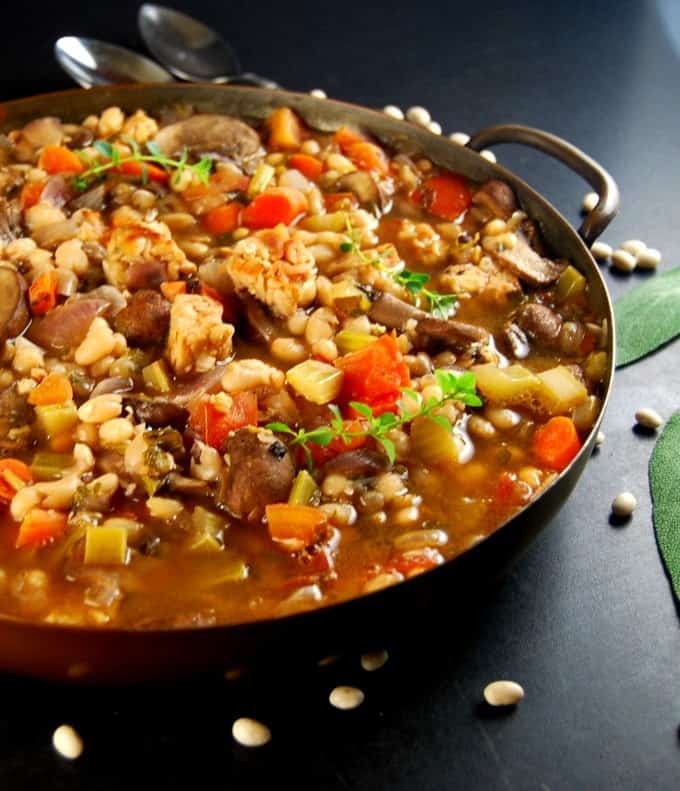 This Cassoulet, which translates into a warm, cushy, comforting stew, is full of nutty white beans, vegetables including mushrooms and carrots and celery, and it is fragrant with herbs including parsley, bay, thyme and sage. You have my full permission to change up the vegetables. In fact, experiment to your heart’s content. Just make sure that stay consistent with cooking times. The herbs are indispensable– they add that rich smokiness that makes this vegan Cassoulet so, so good — so don’t leave them out. I added some tempeh cubes to the mix, for the protein, and they tasted wonderful– firm enough to add texture while still remaining soft and creamy inside. Here’s the recipe. Adieu for now, mes amis. And (putting on my best Julia Child voice), bon appétit! 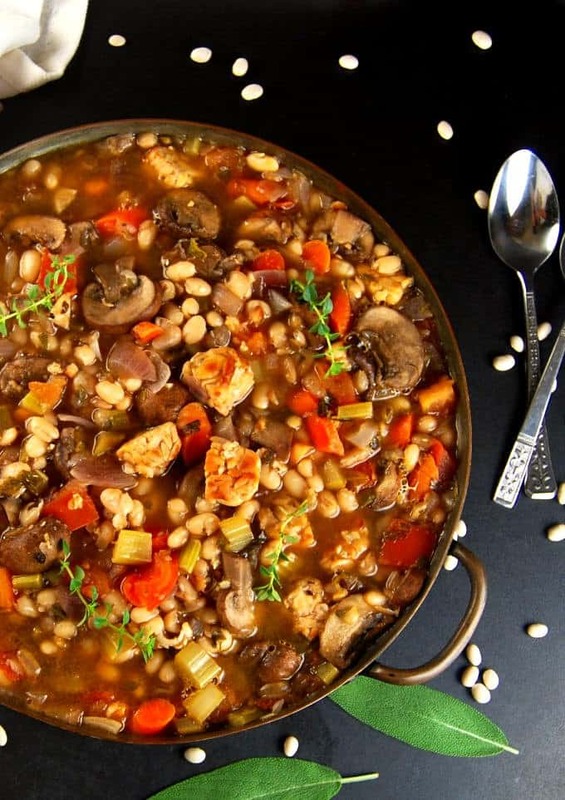 This very vegan cassoulet is a delicious stew of vegetables and white beans. 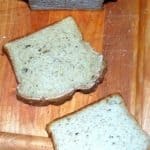 This recipe is gluten-free and low-fat. 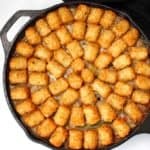 Add the tempeh cubes and saute, stirring frequently, until the tempeh is golden-brown. Add the onions, garlic, celery and carrots. Add a pinch of salt and some ground black pepper and saute the vegetables about five minutes until the onions are translucent. Add the mushrooms and the wine. Cook until the moisture from the vegetables and all of the water has evaporated. Add the tomatoes and beans along with the bay, sage, parsley and thyme. Bring to a boil -- add more water if the stew is too thick - and turn the heat to a level where it boils gently. Check salt and pepper. 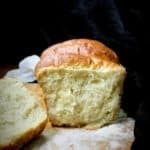 Turn off the heat and serve hot with some crusty French bread. It’s still a little too hot here (Texas) for much cooking, but the first cool day this is on the menu! It sounds so much better than the French version. Hi Ellen, so glad you tried it! Thanks for letting me know! You go, girl! 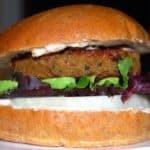 Give it to those Frenchies and keep on Veganizing their fancy, high-falutin cuisine!! Ha ha I live your description of us Frebch Peeps! We do put on weight tho! 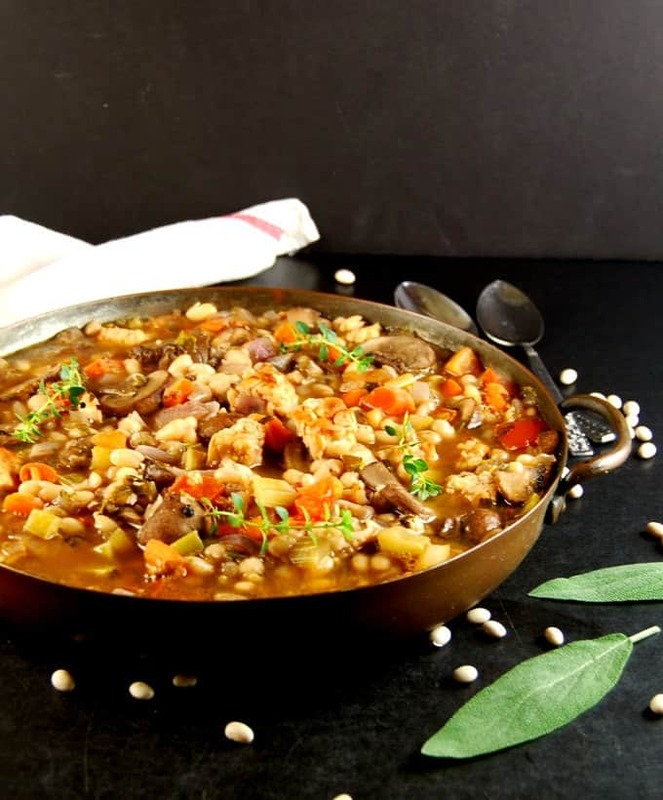 Thank you so much for this Cassoulet recipe. I’ve always loved cassoulet, my mom makes it so oh lush! But haven’t eaten any since I became a vegetarian some 26/7 year ago. 🙂 Hi Flo, it’s all in jest, of course, Thanks for being such a sport about it. Lol! I hear you loud and clear! I now live in France and have a very hard time if I am to eat out..
Hi Mia, lucky you to live in France. 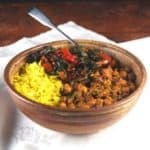 I live in DC which has a few vegan restaurants but if I didn’t want to travel all the way to where they are, it would be pretty impossible to eat out here as well since regular restaurants have few good vegan options, if any. Question: the only liquid in the recipe that I can see is the wine, that you then cook until it is absorbed. How much other liquid should be used and when? 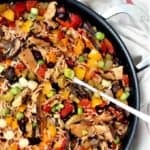 Should this end up as more if a stir fry than a stew? Hi there, it’s mentioned where you should add more water if the stew gets too thick. I like my stew just a little runny, but you can add more or less liquid per your taste. Vegetable stock would be a great addition, if you have that. FABULOUS! I personally don’t like todu/tempeh so I added cauliflower. Also used veggie stock where the recipe said add water to loosen it up. It was a perfect recipe. Exactly as written. Wonderful. Do you think Shitake mushrooms would work? I’ve got some dried ones. Thanks! Yes! Reconstitute them in hot water, chops and add. You can use the stock too! Thank you! I can’t wait to try this today! I just made this and OMG! I have never tasted something so rich, complex and just amazing. Thank you, thank you for this recipe. We ate it up with some French bread and it was perfect. 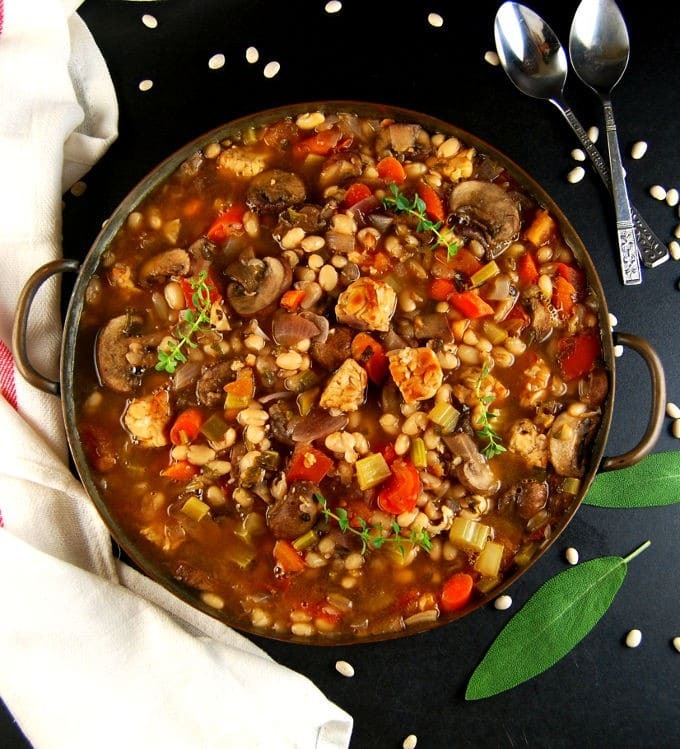 A crusty French stick, a bottle of shiraz, and your vegan cassoulet! Mmmmagnifique! Omg This is wonderful. When it came time to add the beans I realized they were supposed to be cooked and mine were only presoaked at that point. So.. I added a bunch of water, put it in the oven and baked for a few hours until the liqid was all absorbed. Major deliciousness. Thank you! Made the same mistake, wht temp? Hello, I think I did something wrong. After we add the wine it says to let the water evaporate the problem being my cassoulet became very dry. The taste is on point but it is very dry. What would you advise to help this, or have mis read the recepie? I did not put tempeh, could this have contributed? Cedrick, instructions tell you to add more water if the stew is thick. Vegetable stock is fine too.